Royal Bafokeng Stadium in Phokeng (near Rustenburg) hosts six World Cup matches; five in the group stage and one in the Second Round. The Stadium - Rustenburg - Rustenburg Accommodation - Rustenburg Tourism. 2010 World Cup Finals fixtures played at Royal Bafokeng Stadium. 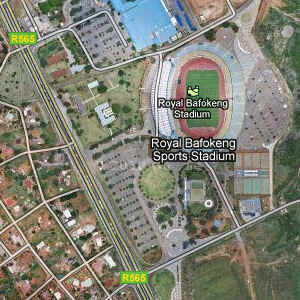 Phokeng - Royal Bafokeng Stadium. The Rustenburg Local Municipality is one of the five local municipalities that form the Bojanala Platinum District Municipality in the North West Province. Rustenburg is 120km from Johannesburg and 116km from Pretoria. Zoom out to find more hotels. The Rustenburg Tourism Information and Development Centre is located on Van Staden Street (Mandela Ave). 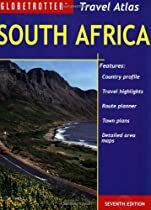 South Africa tourist information with details about travel to and around the country. Where to stay and what to see is made easier with insider tips and hand-selected South Africa links, by dedicated editors and visitors to TravelNotes.org - The Online Guide to Travel.